Next time you’re enjoying a break in North Wales, once you’ve finished exploring the countryside, why not enjoy a pint and hearty award-winning meal in one of the country’s best pubs? Having kept many of its old features, this inn dates all the way back to the 15th century, offering customers the choice of a brasserie or a restaurant to dine in. Offering stunning views over Menai Strait and the Snowdonia mountain range, it’s no wonder that The Bull is situated in an Area of Outstanding Natural Beauty. Commonly referred to as the PYG, this pub and hotel was once a remote farmhouse but is now famously connected to the first successful Everest summit. 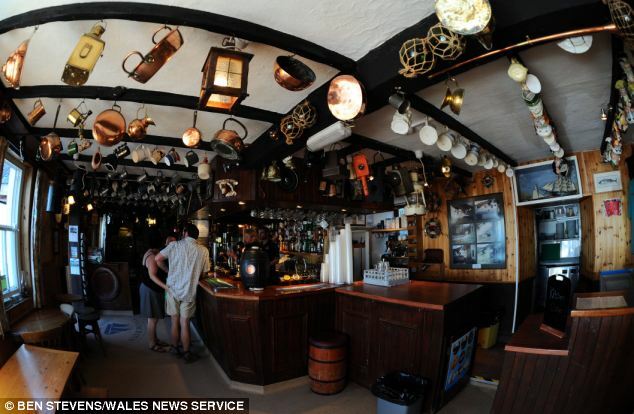 Sir Edmund Hillary and Tenzing Norgay stayed at the PYG in 1953 whilst training for the Everest expedition and their signatures can still be found on the pub’s ceiling. Situated on one of the many routes that lead to the Snowdon summit, Pen-y-Gwryd is a popular spot for hikers and mountaineers to this day, offering a cosy atmosphere to relax in after a day spent in the mountains. If you’re looking for somewhere more central to stay that still has easy access to Snowdon and Snowdonia National Park, then booking accommodation in Porthmadog is a great alternative to staying at the PYG. From the outside, Pen-y-Bryn might look about as special as your local pub but it’s lush garden and outdoor terrace offer breathtaking panoramic views of Great Orme, as you enjoy the impressive food and drink selection on offer. For colder days, the inside of the multi-award winning pub makes for a cosy and inviting place with its wooden floors, open fire, and vintage furniture – perfect to rest and warm up after a strenuous hike. Having earned mentions in prestigious food guides like the Michelin Guide and a yearly namecheck in CAMRA’s Good Pub Guide since 2003, it’s no wonder that Pen-y-Bryn is as popular for its food as it is for the view it offers patrons. Nestled in a beautiful Georgian building dating back to the early 1800s, the Glynne Arms is decorated in a rustic modern finish you would usually expect to find in a hip restaurant or independent coffee shop. Serving an imaginative selection of food and four real ales, you’ll surely be charmed by the atmosphere of this golden-stone pub, which once served as a coaching inn. Arguably one of the oldest pubs in North Wales, the White Lion offers a spacious dining area, serving real ale in a building that still retains its original oak beamed ceiling and Welsh slate floor. The pub also boasts a good-sized courtyard for enjoying a pint outside on one of the rare sunny days. Ale enthusiasts will be pleased to hear that the White Lion is on The Cask Marque Trail, the world’s biggest ale trail. Don’t let the traditional look and feel of the Queen’s Head fool you, this 18th-century pub has won multiple awards for its food and wine offering, and has been described as “one of the most remarkable pubs in the country”. Situated in a historic building that was used to mill flour for over 700 years, the Corn Mill’s location was first mentioned on record in the 13th century, in a recording detailing a fishing dispute. Since opening in 2000, the pub has become well-known for its picturesque riverside location and offering a good selection of beers.